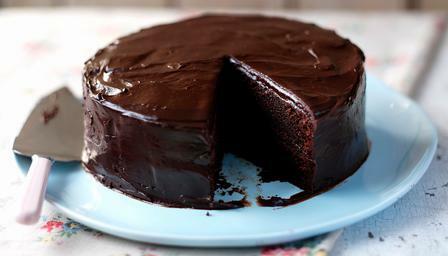 Perfect for birthdays, this is a great recipe for an easy, foolproof chocolate cake. It’s moist and fudgy and will keep well for 4-5 days. 2. Mix all ingredients together and place in a greased 12” spring form pan. 3. Bake covered for 20 minutes then uncovered for another 20 – 40 minutes or until done. Serve with whip cream.